I thought I’d knew most hiking routes by now – but because I’ve still not finished the MacLehose trail there are still some parts of Kowloon that I need to explore. 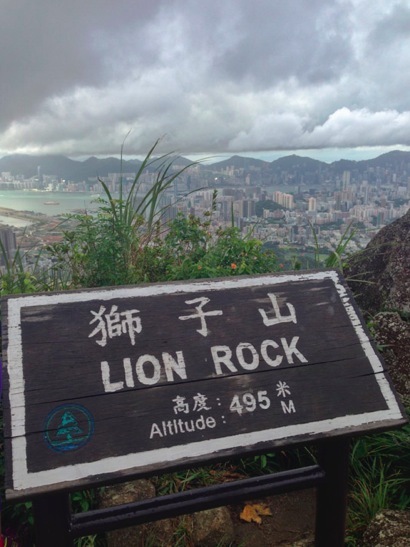 One of these parts is Lion Rock, which is in a country park that has the same name: Lion Rock Country Park. 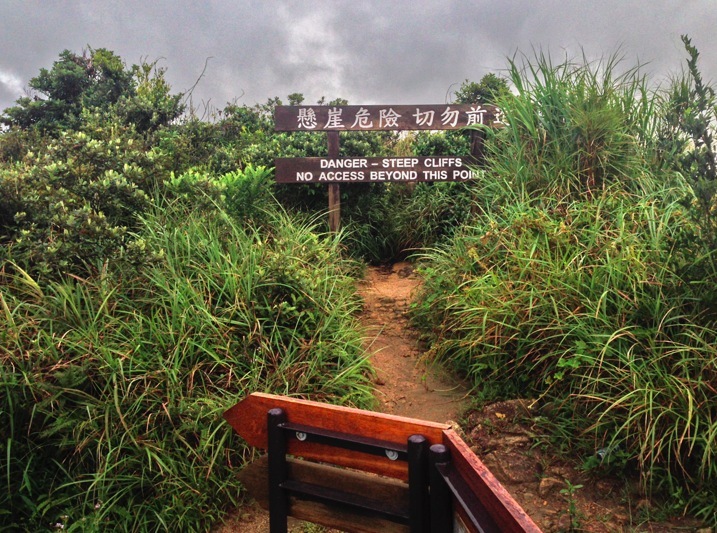 The hike up to Lion Rock (which is actually a hill) is actually part 5 of the MacLehose Trail and well signposted. The 495 m mountain is characterised by rugged escarpments on the west side. Viewed from a distance, it resembles a lion sitting regally with its head facing west, as if to keep Hong Kong in safe guard. You can climb up all the way to its head. Which is what we did! We started at the Wong Tai Sin MTR station and walked up the Shatin Pass Road. Unfortunately it was raining when we started hiking so I wrapped up my phone and backpack to protect – so I couldn’t take any pictures of all the monkeys. But if you check out Wixiang’s blog you’ll see the start of the hike and also a monkey picture. The hiking starts off with a steep road, which we left to climb up the steps in the forest – about 20 mins straight up hill. The steps lead to a dirt part that took us around the hill so we reached the Lion Rock from the backside. 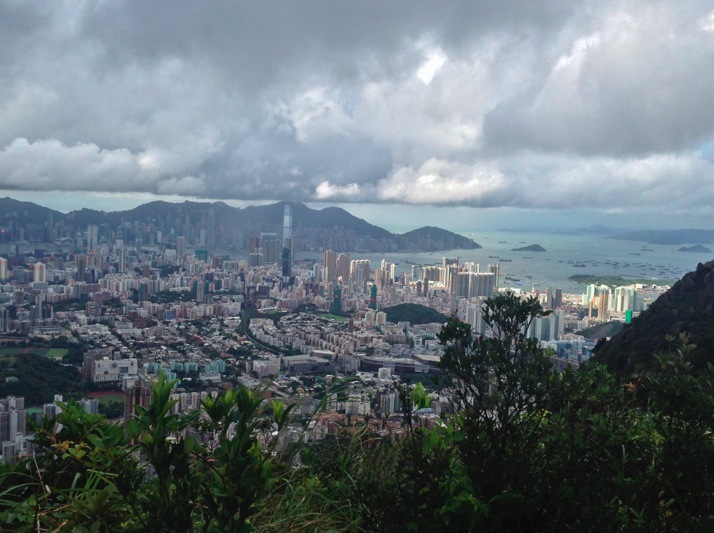 It took us about 90 minutes to reach the top from the MTR station – and we were rewarded with spectacular views over the New Territories and having Kowloon and Hong Kong Island laying out at our feet. You can see the whole city – it was just a shame that it was a cloudy, rainy day! 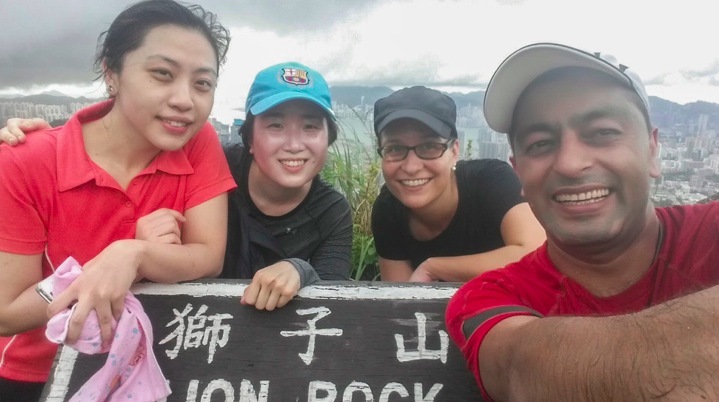 We climbed downhill and did the loop around the Lion Rock, until we hit the Shatin Pass Road again, which took us back to the Wong Tai Sin MTR. The overall hike was 8.7km long and with a few breaks it took us 3.5 hours as it was really slippery to climb the 500m and go back down again. Wow, you got some good views despite the rain! My husband climbed Lion Rock in the spring but it was a pretty hazy day so he couldn’t see that far. Hi, if you have half day to hike in hongkong, lets say 1) hike in Jan 2) at least 3 stars difficulty, which trail will you recommend? Hi Regina – that’s hard to say, it depends where you are staying. Most of my hikes are half-day hikes, but you need to factor in travel time! 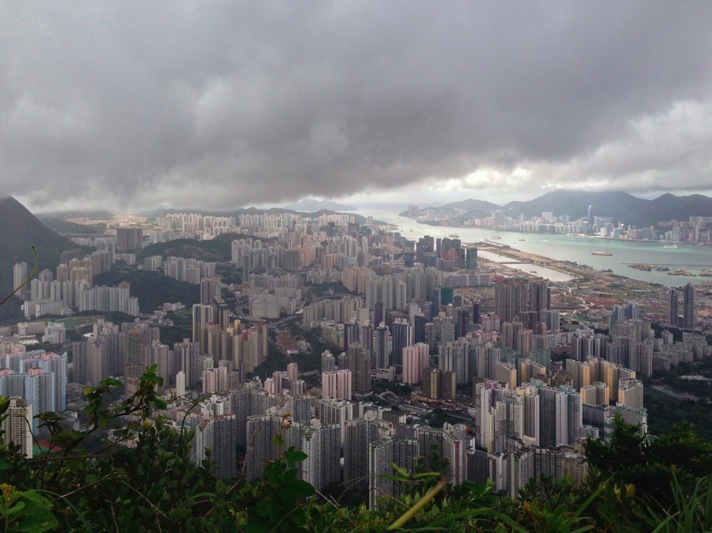 If you want to have a good workout on the HK Island side, then the Twins from Parkview to Stanley are great. 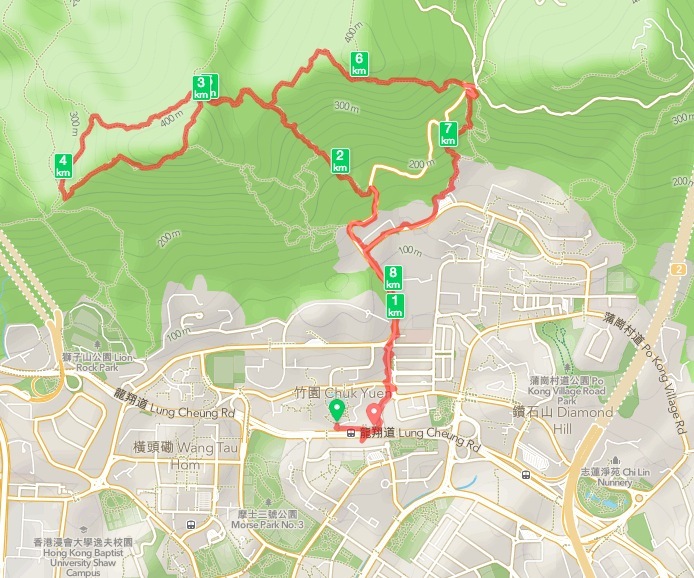 You could even start in Quarry Bay, and do the two stages of the Wilson Trail together (so it’s probably a 4 hours hike).